Fall is here…time to grab your free Mrs. Meyer’s Fall Bundle from Grove Collaborative! Fall is by far my favorite season. Time for jeans and boots, the turning of the leaves, college football games with the band playing during halftime, tailgating with friends, planting mums on our patio, hot apple cider, and of course…pumpkins! One of my favorite things to do as soon as I feel fall coming on is to break out all of my favorite fall scented soaps and light candles all around our home. If you are a long time reader, then you know that I am super choosy about the products that I use, especially when it comes to cleaning. I prefer more natural products. That’s what I love about Mrs. Meyer’s products! They are thoughtfully formulated with plant-derived ingredients and essential oils. They clean well and smell amazing too! 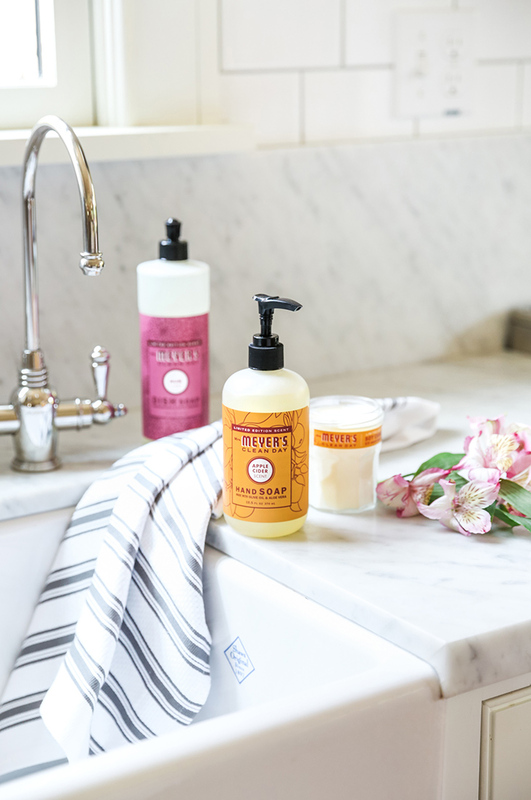 Every once in a while, I get to team up with my friends at Grove Collaborative to offer my readers a fabulous deal on my favorite Mrs. Meyer’s products. This week I’m teaming up with Grove and Mrs. Meyer’s to offer you a fabulous fall bundle! 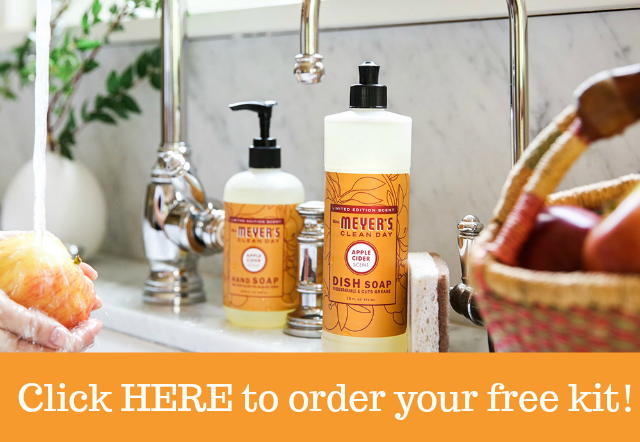 If you are a new Grove Collaborative customer, and you spend $20, you will receive a free seasonal set of Mrs. Meyer’s fall hand soap, dish soap, a candle + a pretty kitchen towel! It comes in two delicious fall scents, Apple Cider and Mum! You can chose one scent, or you can mix and match them if you like. If you are already a Grove Collaborative member, then you know how amazing they are, and while you won’t be eligible for the free kit since you have already claimed one in the past, but you can chose a Free Walnut Scrubber HERE, so you still get a freebie with your next order! Let me tell you a little bit about Grove! Grove Collaborative is my go to place online to buy all of my cleaning supplies, essential oils and Mrs. Meyer’s products. I’ve been a Grove member for two years now, and LOVE them! It’s also the place I go to get the awesome glass spray bottles that you have probably seen in some of my cleaning solution recipe posts like my Homemade Grease Cleaner Spray and my favorite 3 Ingredient All-Purpose Cleaning Spray!. I also purchase toothpaste, shampoo, soap, sponges, dish brushes and more. They have wonderful plant-derived baby products too! I love it because I can chose what I want and get it shipped straight to my front door. I can set it to auto deliver those products to me monthly, bimonthly or as often as I like. They always send a reminder email so that I can decide if I need those things, add or subtract items from my upcoming shipment, or cancel my shipment. I never have to buy anything that I don’t want or need, and there is no fee for canceling. I love that I don’t have to leave home to do my shopping, and that they really make the customer experience such a great one! 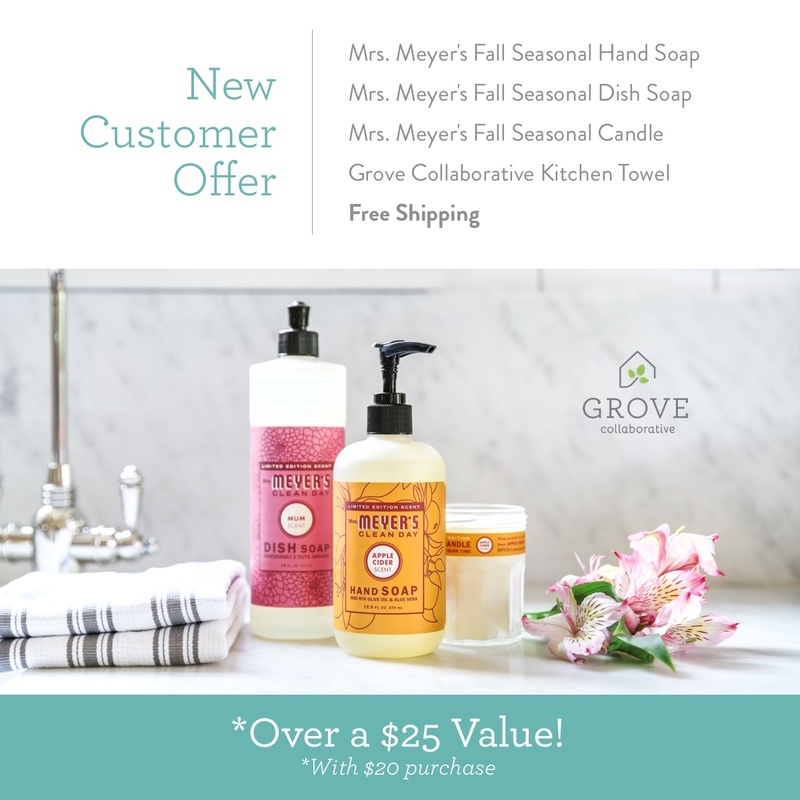 Let me recap the offer for you…New customers that spend $20 or more will receive a free Mrs. Meyer’s hand soap, dish soap, and soy candle in the scent of your choice as well as a Grove kitchen towel. You will also be signed up for the free 60 day VIP trial which means you will get free shipping, free gifts, price matching and be privy to exclusive sales and personal service…woohoo! If you have any questions, please feel free to reach out to me at jessica@mom4real.com You are going to LOVE Grove Collaborative and these amazing Mrs. Meyer’s products too! Now, I’m off to light my candles and get my dishes clean! I took advantage of this through another site last week…My box arrived yesterday and I was so excited! Everything was packaged so nice and no damage at all! Can’t wait to clean the house tonight!